We all know certain aspects of polite behaviour seem to have gone out the window when it comes to mobile phones on public transport, so it's a blessed relief that a clampdown should finally be upon us. Unfortunately for beleaguered UK residents, the new iron glove of manners is being wielded only in Japan on the nation's famously efficient trains. According to the BBC, 'etiquette police' will patrol the public transport in Yokohama looking for anyone disturbing the peace or not following the rules. Violations likely to attract a ticking off include not giving up a seat to elderly people and listening to music on headphones that leak sound. The worst offence of all is, of course, talking on a mobile phone on a busy train or bus. 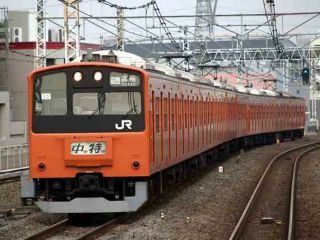 All Japanese transport networks began a campaign to completely ban phone conversations several years ago, although its initial effectiveness has been diminishing recently as the opprobrium wears off, particularly among young people. Hence, the new policing scheme has arrived in response to the public demand shown in a recent Yokohama survey that found 90 per cent of people perceived a decline in manners. The scheme is laudable, but - if even the Japanese enforcers need bodyguards - what hope is there for a similar move succeeding on London's Tube or notorious night buses? We tremble at the very thought.